The feature of this proud Australian suburb is the long stretch of beach called Maroubra Beach which is also a National Surfing Reserve which has hosted world class surfing events. Maroubra is filled with eclectic eateries and cafes along and around the beach and also boasts a healthy nightlife. 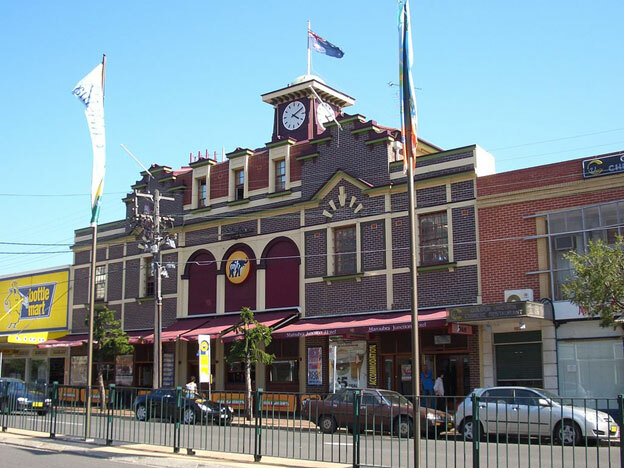 The central Maroubra Junction is where all of the local businesses are located and where the main shopping centre, Pacific Square, can be found. A large selection of schools is on offer to the residents as well as plenty of green areas for recreation. The beach also features a playground, outdoor gym and a skate park. Located under 20 minutes’ drive to the city, Maroubra is the epitome of ‘work, rest and play’. With its excellent beach, Maroubra is famous for golden sand and exceptional surf. A National Surfing Reserve, it hosts world class events and attracts surfers from all over the world. The beach is also home to a playground, outdoor gym and skate park, making Maroubra a popular hub for families and those who love to get out and about. Maroubra is filled with eclectic eateries and cafes, and boasts a healthy nightlife. The central Maroubra Junction is where you’ll find the main shopping centre, as well as most businesses and amenities. Besides Maroubra Junction you’ll find a handful of other shopping districts, including the South Maroubra Shopping Village, which is known by local as just “The Village”. Maroubra lies 10 km south of Sydney’s CBD, and is the largest suburb governed by Randwick City Council in both area and population. Named after the local Aboriginal word meaning, “Place of Thunder”, it’s major residential development only began in the 1910’s after Herbert Dudley, a real estate developer, subdivided the land into residential blocks. Today, Maroubra boasts a range of properties, all of which are in high demand. Whether you want to enjoy the thrill of renovation or pop the champagne in a stylish and sophisticated apartment, you can find it in Maroubra. Maroubra is the perfect spot to work, rest and play. Less than a 20 minute drive to the city, it houses everything you need to create a coveted address. Maroubra locals are proud and welcoming, and NRL fans can enjoy watching the South Sydney Rabbitohs ease their muscles in the water following an exhausting exercise session. Work is now underway on a light rail system down Anzac Parade, and while work is only being carried out to the University of NSW, there are plans for the light rail to reach Maroubra in the not too distant future. In the meantime, buses are readily available. Real Estate Trends in Maroubra. Median house prices over the past year from March 2016 to January 2017 have remained the same. Unit prices have risen about 5%. A three bedroom home in Maroubra will cost $1,745,000 and a two bedroom apartment is valued at $830,000. The annual capital growth for homes is 8% and units 6.4%. To find out more about Maroubra, contact the experts at Mint360property and we’ll be able to help you with all your questions.